The 2022 FIFA World Cup is scheduled to be the 22nd edition of the FIFA World Cup, the quadrennial international men's football championship contested by the national teams of the member associations of FIFA. It is scheduled to take place in Qatar in 2022. This will be the first World Cup ever to be held in the Arab world and the first in a Muslim-majority country. This will be the first World Cup held entirely in Asia since the 2002 tournament in South Korea and Japan (the 2018 competition in Russia featured one Asian venue, Yekaterinburg). In addition the tournament will be the last to involve 32 teams, with an increase to 48 teams scheduled for the 2026 tournament. However, FIFA President Gianni Infantino indicated that this change may come earlier for the 2022 World Cup. The reigning World Cup champions are France. This will also mark the first World Cup not to be held in May, June, or July; the tournament is instead scheduled for late November until mid-December. It is to be played in a reduced timeframe of around 28 days, with the final being held on 18 December 2022, which is also Qatar National Day. Accusations of corruption have been made relating to how Qatar won the right to host the event. A FIFA internal investigation and report cleared Qatar of any wrongdoing, but the chief investigator Michael J. Garcia has since described FIFA's report on his inquiry as "materially incomplete and erroneous". On 27 May 2015, Swiss federal prosecutors opened an investigation into corruption and money laundering related to the awarding of the 2018 and 2022 World Cups. On 6 August 2018, former FIFA president Sepp Blatter claimed that Qatar had used "black ops", suggesting that the bid committee had cheated to win the hosting rights. Qatar has faced strong criticism due to the treatment of foreign workers involved in preparation for the World Cup, with Amnesty International referring to "forced labour" and stating that workers have been suffering human rights abuses, despite worker welfare standards being drafted in 2014. The bidding procedure to host the 2018 and 2022 FIFA World Cups began in January 2009, and national associations had until 2 February 2009 to register their interest. Initially, eleven bids were made for the 2018 FIFA World Cup, but Mexico later withdrew from proceedings, and Indonesia's bid was rejected by FIFA in February 2010 after the Indonesian Football Association failed to submit a letter of Indonesian government guarantee to support the bid. Indonesian officials had not ruled out a bid for the 2026 FIFA World Cup, until Qatar took the 2022 cup. During the bidding process, all non-UEFA nations gradually withdrew their 2018 bids, thus guaranteeing that a UEFA nation would host the 2018 cup and thereby making UEFA nations ineligible for the 2022 bid. In the end, there were five bids for the 2022 FIFA World Cup: Australia, Japan, Qatar, South Korea and the United States. The twenty-two member FIFA Executive Committee convened in Zürich on 2 December 2010 to vote to select the hosts of both tournaments. Two FIFA executive committee members were suspended before the vote in relation to allegations of corruption regarding their votes. The decision to host the 2022 World Cup in Qatar, which was graded as having "high operational risk", generated criticism from media commentators. It has been criticised as many to be part of the FIFA corruption scandals. There have been allegations of bribery and corruption in the selection process involving members of FIFA's executive committee. These allegations are being investigated by FIFA (see § Bidding corruption allegations, below). 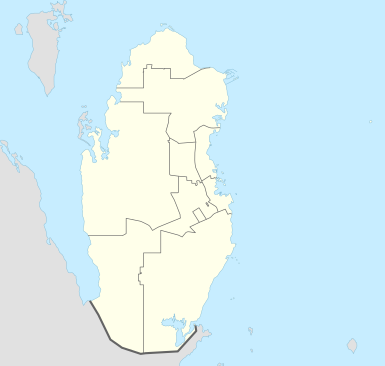 Qatar is the smallest nation by area ever to have been awarded a FIFA World Cup – the next smallest by area is Switzerland, host of the 1954 FIFA World Cup, which is more than three times as large as Qatar and only needed to host 16 teams instead of the current 32. On 12 April 2018, CONMEBOL requested that FIFA expand the 2022 FIFA World Cup from 32 to 48 teams, four years before the 2026 FIFA World Cup as initially planned. FIFA President Gianni Infantino expressed willingness to consider the request. However, the FIFA congress rejected the request shortly before the beginning of the 2018 FIFA World Cup. Infantino said the global football governing body would not discuss the possibility of having a 48-team World Cup, and that they would first discuss the matter with the host country. In March 2019, a "FIFA feasibility study" concluded that it was possible to expand the tournament to 48 teams, albeit with the assistance of "one or more" neighbouring countries and "two to four additional venues." FIFA also said that "while it cannot rule out legal action from losing bidders by changing the format [of the tournament], the study said it 'concluded that the risk was low.'" FIFA and Qatar will explore possible joint proposals to submit to the FIFA Council and the FIFA Congress in June 2019. If a joint proposal is submitted, FIFA's member associations will vote on the final decision at the 69th FIFA Congress in Paris, France on 5 June 2019. The qualification process for the 2022 World Cup has not yet been announced. All FIFA member associations, of which there are currently 211, are eligible to enter qualification. Qatar, as hosts, qualified automatically for the tournament. However, Qatar is obliged by the AFC to participate in the Asian qualifying stage as the first two rounds also act as qualification for the 2023 AFC Asian Cup. If they reach the final stage, their choice on whether to continue with World Cup qualifying is subject to FIFA approval. If the hosts choose not to compete, the next-ranked team will advance instead. For the first time after the initial two tournaments of 1930 and 1934, the World Cup will be hosted by a country whose national team has never played a finals match before. The reigning World Cup champions France will also go through qualifying stages as normal. The first five proposed venues for the World Cup were unveiled at the beginning of March 2010. The stadiums aim to employ cooling technology capable of reducing temperatures within the stadium by up to 20 °C (36 °F), and the upper tiers of the stadiums will be disassembled after the World Cup and donated to countries with less developed sports infrastructure. The country intends for the stadiums to reflect the historical and cultural aspects of Qatar. Each stadium will incorporate four priorities, which are legacy, comfort, accessibility and sustainability. Qatar aims to build the stadiums with the highest sustainability and environmental standards. The stadiums will be equipped with cooling systems that are environmentally friendly overcoming the challenging environmental nature of the country. The plan is to build Zero Waste stadiums using environmentally friendly materials, harmless equipment, and ecologically sustainable solutions through the implementation of renewable and low energy solutions. Qatar aspires to be compliant and certified by the Global Sustainability Assessment System (GSAS) for all the world cup stadiums. All of the five stadium projects launched have been designed by German architect Albert Speer & Partners. Leading football clubs in Europe wanted the World Cup to take place from 28 April to 29 May rather than the typical June and July staging, due to concerns about the heat. 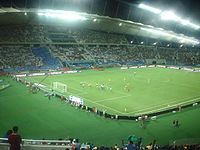 A report released on 9 December 2010 quoted FIFA President Sepp Blatter as stating that other nations could host some matches during the World Cup. However, no specific countries were named in the report. Blatter added that any such decision must be taken by Qatar first and then endorsed by FIFA's executive committee. Prince Ali bin Al Hussein of Jordan told the Australian Associated Press that holding games in Bahrain, United Arab Emirates, and possibly Saudi Arabia would help to incorporate the people of the region during the tournament. In January 2019, Infantino said that FIFA was exploring the possibility of having neighbouring countries host matches during the tournament, in order to reduce political tensions. The final draw is scheduled to take place in April 2022. A number of groups and media outlets have expressed concern over the suitability of Qatar to host the event, with regard to interpretations of human rights, particularly worker conditions, the rights of fans in the LGBT community because of the illegality of homosexuality in Qatar, climatic conditions and accusations of Qatar for supporting terrorism both diplomatically and financially. Hassan Abdulla al Thawadi, chief executive of the Qatar 2022 World Cup bid, said the Muslim state would also permit alcohol consumption during the event, drinking in public is not permitted as Qatar's legal system is based on Sharia. The selection of Qatar as the host country has been controversial; FIFA officials were accused of corruption and allowing Qatar to "buy" the World Cup, the treatment of construction workers was called into question by human rights groups, and the high costs needed to make the plans a reality were criticised. The climate conditions caused some to call hosting the tournament in Qatar infeasible, with initial plans for air-conditioned stadiums giving way to a potential date switch from summer to winter. In May 2014, Sepp Blatter, who was FIFA President at the time of the selection but later banned for illegal payments, remarked that awarding the World Cup to Qatar was a "mistake" because of the extreme heat. However, while addressing delegates from African and Asian confederations, Blatter said allegations of corruption and some of the criticism, including those from sponsors, were "very much linked to racism and discrimination". The issue of migrant workers' rights has also attracted attention, with an investigation by The Guardian newspaper claiming that many workers are denied food and water, have their identity papers taken away from them, and that they are not paid on time or at all, making some of them in effect slaves. The Guardian has estimated that up to 4,000 workers may die due to lax safety and other causes by the time the competition is held. These claims are based upon the fact that 522 Nepalese workers and over 700 Indian workers have died since 2010, when Qatar's bid as World Cup's host was won, about 250 Indian workers dying each year. Given that there are half a million Indian workers in Qatar, the Indian government says that is quite a normal number of deaths. In the United Kingdom, in any group of half a million 25- to 30-year-old men, an average of 300 die each year, a higher rate than among Indian workers in Qatar. In 2015, a crew of four journalists from the BBC were arrested and held for two days after they attempted to report on the condition of workers in the country. The reporters had been invited to visit the country as guests of the Government of Qatar. The Wall Street Journal reported in June 2015 the International Trade Union Confederation's claim that over 1,200 workers had died while working on infrastructure and real-estate projects related to the World Cup, and the Qatar Government's counter-claim that none had. The BBC later reported that this often-cited figure of 1,200 workers having died in World Cup construction in Qatar between 2011 and 2013 is not correct, and that the 1,200 number is instead representing deaths from all Indians and Nepalese working in Qatar, not just of those workers involved in the preparation for the World Cup, and not just of construction workers. Most Qatar nationals avoid doing manual work or low-skilled jobs; additionally, they are given preference at the workplace. Michael van Praag, president of Royal Dutch Football Association, requested the FIFA Executive Committee to pressure Qatar over those allegations to ensure better workers' conditions. He also stated that a new vote on the attribution of the World Cup to Qatar would have to take place if the corruption allegations were to be proved. In March 2016, Amnesty International accused Qatar of using forced labour and forcing the employees to live in poor conditions and withholding their wages and passports. It accused FIFA of failing to stop the stadium being built on "human right abuses". Migrant workers told Amnesty about verbal abuse and threats they received after complaining about not being paid for up to several months. Nepali workers were even denied leave to visit their family after the 2015 Nepal earthquake. In October 2017, the International Trade Union Confederation said that Qatar has signed an agreement to improve the situation of more than 2 million migrant workers in the country. According to the ITUC, the agreement provided for establishing substantial reforms in labour system, including ending the Al-Kafala system. The ITUC also stated that the agreement would positively affect the general situation of workers, especially of those who work on the 2022 FIFA World Cup infrastructure projects. The workers will no longer need their employer's permission to leave the country or change their jobs. In February 2019, Amnesty International questioned whether they would be able to complete the promised labour reforms before the start of the World Cup, a sentiment that was backed by FIFA. Amnesty International found that abuses were still occurring despite the nation taking some steps to improve labour rights. Owing to the climate in Qatar, concerns were expressed over holding the World Cup in its traditional timeframe of June and July. In October 2013, a task force was commissioned to consider alternative dates and report after the 2014 FIFA World Cup in Brazil. On 24 February 2015, the FIFA Task Force proposed that the tournament be played from late November to late December 2022, to avoid the summer heat between May and September and also avoid clashing with the 2022 Winter Olympics in February and Ramadan in April. The notion of staging the tournament in November is controversial since it would interfere with the regular season schedules of some domestic leagues around the world. Commentators have noted the clash with the Western Christmas season is likely to cause disruption, whilst there is concern about how short the tournament is intended to be. FIFA executive committee member Theo Zwanziger said that awarding the 2022 World Cup to Qatar's desert state was a "blatant mistake". Frank Lowy, chairman of Football Federation Australia, said that if the 2022 World Cup were moved to November and thus upset the schedule of the A-League, they would seek compensation from FIFA. Richard Scudamore, chief executive of the Premier League, stated that they would consider legal action against FIFA because a move would interfere with the Premier League's popular Christmas and New Year fixture programme. On 19 March 2015, FIFA sources confirmed that the 2022 World Cup final would be played on 18 December. Qatar has faced growing pressure over its hosting of the World Cup in relation to allegations over the role of former top football official Mohammed bin Hammam played in securing the bid. A former employee of the Qatar bid team alleged[year needed] that several African officials were paid $1.5 million by Qatar. She retracted her claims, but later said she was coerced to do so by Qatari bid officials. In March 2014 it was discovered that disgraced former CONCACAF president Jack Warner and his family were paid almost $2 million from a firm linked to Qatar's successful campaign. The Federal Bureau of Investigation (FBI) is investigating Warner and his alleged links to the Qatari bid. Five of FIFA's six primary sponsors, Sony, Adidas, Visa, Hyundai and Coca-Cola, have called upon FIFA to investigate the claims. The Sunday Times published bribery allegations based on a leak of millions of secret documents. Jim Boyce, Vice President of FIFA, has gone on record stating he would support a re-vote to find a new host if the corruption allegations are proven. FIFA completed a lengthy investigation into these allegations and a report cleared Qatar of any wrongdoing. Despite the claims, the Qataris insist that the corruption allegations are being driven by envy and mistrust while Sepp Blatter said it is fueled by racism in the British media. In the 2015 FIFA corruption case, Swiss officials, operating under information from the United States Department of Justice, arrested many senior FIFA officials in Zurich, Switzerland. They also seized physical and electronic records from FIFA's main headquarters. The arrests continued in the United States where several FIFA officers were arrested and FIFA buildings raided. The arrests were made on the information of at least a $150 million (USD) corruption and bribery scandal. On 7 June 2015, Phaedra Almajid, the former media officer for the Qatar bid team, claimed that the allegations would result in Qatar not hosting the World Cup. In an interview published on the same day, Domenico Scala, the head of FIFA's Audit and Compliance Committee, stated that "should there be evidence that the awards to Qatar and Russia came only because of bought votes, then the awards could be cancelled." ^ "Amir: 2022 World Cup Qatar a tournament for all Arabs". Gulf Times (in Arabic). 15 July 2018. Retrieved 7 September 2018. ^ Ostlere, Lawrence (14 December 2018). "World Cup 2022: Football backs my expansion plan to 48 teams, says Fifa president Gianni Infantino". The Independent. Retrieved 6 February 2019. ^ Taylor, Daniel (15 July 2018). "France seal second World Cup triumph with 4–2 win over brave Croatia". The Guardian. Retrieved 7 September 2018. ^ "Fifa, Qatar 2022: Mondiali dal 21 novembre al 18 dicembre" [Fifa, Qatar 2022: World Cup from 21 November to 18 December]. la Repubblica (in Italian). 25 September 2015. ^ "Fifa report 'erroneous', says lawyer who investigated corruption claims". BBC Sport. 13 November 2014. Retrieved 24 February 2015. ^ "Criminal investigation into 2018 and 2022 World Cup awards opened". ESPN FC. ESPN. 27 May 2015. Retrieved 27 May 2015. ^ "The Office of the Attorney General of Switzerland seizes documents at FIFA". The Federal Council. The Swiss Government. 27 May 2015. Retrieved 27 May 2015. ^ "Sepp Blatter says Qatar cheated to host World Cup". 5 August 2018. ^ "Amnesty says workers at Qatar World Cup stadium suffer abuse". 31 March 2016. ^ Goff, Steve (16 January 2009). "Future World Cups". The Washington Post. Retrieved 16 January 2009. ^ "2018 and 2022 FIFA World Cup bids begin in January 2009". Archived from the original on 11 December 2012. Retrieved 29 September 2009. ^ "World Cup 2018". 5 January 2015. Archived from the original on 19 August 2014. ^ "Indonesia's bid to host the 2022 World Cup bid ends". BBC Sport. 19 March 2010. Archived from the original on 20 March 2010. Retrieved 19 March 2010. ^ "Combined bidding confirmed". FIFA. 20 December 2008. Archived from the original on 22 January 2009. Retrieved 20 December 2008. ^ Wilson, Steve (18 November 2010). "World Cup 2018: meet Amos Adamu and Reynald Temarii, the Fifa pair suspended over corruption". The Telegraph. London. Retrieved 20 March 2014. ^ "World Cup 2022: Blow to Qatar's 2022 bid as FIFA brands it "high risk"". Bloomberg. 18 November 2010. Archived from the original on 1 December 2010. Retrieved 3 December 2010. ^ James, Stuart (2 December 2010). "World Cup 2022: 'Political craziness' favours Qatar's winning bid". The Guardian. London. Retrieved 3 December 2010. ^ "Qatar world cup part of FIFA corruption scandal". 7 June 2015. Retrieved 7 June 2015. ^ Doyle, Paul; Busfield, Steve (2 December 2010). "World Cup 2018 and 2022 decision day – live!". The Guardian. London. ^ "Why Fifa's 48-team plan for the 2022 World Cup is bad news for Qatar". The Independent. Retrieved 7 September 2018. ^ Goff, Steven. "FIFA is considering a bigger World Cup in Qatar, one of the planet's smallest countries". Chicago Tribune. Retrieved 7 September 2018. ^ "FIFA President Gianni Infantino open to CONMEBOL's request to expand Qatar World Cup". ESPN. 13 April 2018. ^ "FIFA President Gianni Infantino". Reuters. 10 June 2018. ^ "FIFA Council decides on key steps for upcoming international tournaments". FIFA.com. 15 March 2019. Retrieved 15 March 2019. ^ Harris, Rob (11 March 2019). "APNewsBreak: FIFA study backs 48-team '22 WC, Qatar sharing". Retrieved 12 March 2019. ^ Palmer, Dan (31 July 2017). "Hosts Qatar to compete in qualifying for 2022 World Cup". insidethegames.biz. Dunsar Media Company. Retrieved 15 August 2017. ^ Harding, David (6 September 2017). "World Cup failure puts Qatar back in spotlight". Yahoo Sports. Agence France-Presse. Retrieved 4 January 2018. ^ "2022 World Cup odds: France favorite to repeat in Qatar; USA behind Mexico with 16th-best odds". CBSSports.com. Retrieved 7 September 2018. ^ "2022 FIFA World Cup to be played in November/December". FIFA. 20 March 2015. ^ "Current allocation of FIFA World Cup™ confederation slots maintained". FIFA. 30 May 2015. ^ a b "INTERNATIONAL MATCH CALENDAR 2018–2024" (PDF). FIFA. 6 October 2015. Archived from the original (PDF) on 18 June 2018. Retrieved 22 February 2017. ^ "Bidding Nation Qatar 2022 – Stadiums". Qatar2022bid.com. Archived from the original on 3 May 2010. Retrieved 30 May 2010. ^ "Football and Sustainability in the Desert, Qatar 2022 Green World Cup's Stadiums: Legal Perspective". European Journal of Social Sciences. pp. 475–493. ^ "2022 FIFA World Cup Bid Evaluation Report: Qatar" (PDF). FIFA. 5 December 2010. ^ Conway, Richard (30 October 2014). "World Cup 2022: European clubs want spring finals in Qatar". BBC Sport. Retrieved 1 November 2014. ^ "Report: Qatar neighbors could host 2022 WC games". Fox Soccer/AP. 9 December 2010. Archived from the original on 26 April 2011. ^ "FIFA 'backs' winter 2022 Qatar cup – FOOTBALL". Al Jazeera. Archived from the original on 13 May 2011. Retrieved 28 February 2012. ^ "Jordan's Prince Ali calls for winter WCup in Qatar". Yahoo! Sports/AP. 13 December 2010. ^ "Qatar 2022: Nine stadiums instead of twelve? –". Stadiumdb.com. 25 April 2013. Retrieved 25 May 2013. ^ Fattah, Zainab (22 April 2013). "Qatar Is in Talks to Reduce World Cup Stadiums, BofA Says". Bloomberg. Retrieved 25 May 2013. ^ "Official: Qatar has cut its 2022 World Cup budget almost in half". Doha News. 7 April 2017. ^ "Stadiums : Supreme Committee for Delivery & Legacy". ^ "Infantino: Qatar neighbours could help host World Cup". ESPN. 2 January 2019. Retrieved 2 January 2019. 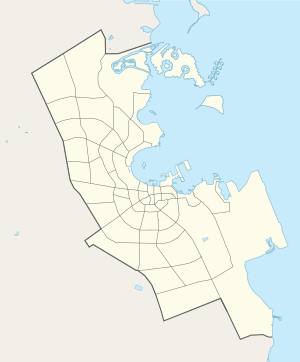 ^ "Al Bayt Stadium: A uniquely Qatari stadium, to rival the best in the world". 8 January 2018. ^ "Al Rayyan Stadium: The gateway to the desert opens its doors to the world". 8 January 2018. ^ "Al Wakrah Stadium: An extraordinary stadium for an adventurous city". 8 January 2018. ^ "Ras Abu Aboud Stadium: A legacy for the community". 8 January 2018. ^ "Khalifa International Stadium: Qatar's most historic stadium & a crucial player for 2022". 8 January 2018. ^ "Qatar Foundation Stadium: An amazing experience for fans & a bright future for football". 8 January 2018. Archived from the original on 8 January 2018. Retrieved 8 January 2018. ^ "Al Thuymama Stadium: A tribute to our region". 8 January 2018. ^ Kaufman, Michelle. "Tiny Qatar beats out America for World Cup – Total Soccer | Fútbol Total". The Miami Herald. Retrieved 2 December 2011. ^ a b James, Stuart (2 December 2010). "World Cup 2022: 'Political craziness' favours Qatar's winning bid". The Guardian. London. ^ Geen, Jessica. "Gay groups' anger at 'homophobic' World Cup hosts Russia and Qatar". Pink News. Retrieved 2 December 2011. ^ "Qatar's World Cup won't be gay-friendly". news.com.au. 3 December 2010. ^ "Still Slaving Away." The Economist. 6 June 2015: 38–39. Print. ^ Samuel, Martin (18 March 2014). "New Qatar controversy as World Cup hosts are linked to terrorism". Daily Mail. London. ^ "Beer on Tap for 2022 World Cup". Aroundtherings.com. 14 March 2012. Retrieved 28 February 2013. ^ "World Cup 2022 | Alcohol Qatar". SportsGrid. 15 December 2010. Retrieved 2 December 2011. ^ "Alcohol and Liquor Licenses in Qatar – Qatar". Angloinfo. Archived from the original on 8 August 2016. Retrieved 15 June 2016. ^ "Valcke denies 2022 'bought' claim". BBC News. 30 May 2011. ^ a b Booth, Robert. "Qatar World Cup construction 'will leave 4,000 migrant workers dead'". The Guardian. Retrieved 26 September 2013. ^ "Sepp Blatter: awarding 2022 World Cup to Qatar was a mistake | Football". The Guardian. Retrieved 16 May 2014. ^ "Sepp Blatter admits summer World Cup in Qatar mistake – CBC Sports – Soccer". Canadian Broadcasting Corporation. 16 May 2014. Retrieved 17 May 2014. ^ Collett, Mike (14 June 2014). "Qatar World Cup 2022: Sepp Blatter claims critics are 'racist'". The Independent. Retrieved 10 September 2018. ^ "Fifa 2022 World Cup: Is Qatar doing enough to save migrant workers' lives?". ITV News. ^ Gibson, Owen (24 September 2013). "More than 500 Indian workers have died in Qatar since 2012, figures show". The Guardian. Retrieved 20 February 2014. ^ a b c d Stephenson, Wesley (6 June 2015). "Have 1,200 World Cup workers really died in Qatar?". BBC. ^ a b Weaver, Matthew. "Fifa to investigate arrest of BBC news team in Qatar". The Guardian. ^ Jones, Rory; Parasie, Nicolas (4 June 2015). "Blatter's Resignation Raises Concerns About Qatar's FIFA World Cup Prospects". The Wall Street Journal. ^ Rights, Migrant. "Qatar: No country for migrant men". migrant-rights.org. ^ KNVB leader Michael van Praag to run for FIFA president against Sepp Blatter, ESPN, 26 January 2015. ^ "Qatar 2022: 'Forced labour' at World Cup stadium". BBC News. Retrieved 3 April 2016. ^ "Qatar World Cup workers' rights to improve with end of kafala system, claims union". The Guardian. 25 October 2017. Retrieved 3 November 2017. ^ "World Cup 2022: Qatar 'falling significantly short' on reforms - Amnesty International". 6 February 2019. Retrieved 6 February 2019 – via www.bbc.com. ^ "World Cup 2022: Fifa task force to seek new dates for tournament". BBC Sport. 4 October 2013. Retrieved 9 January 2014. ^ "Late-November/late-December proposed for the 2022 FIFA World Cup". FIFA. 24 February 2015. ^ "2022 World Cup: Qatar event set for November and December". BBC Sport. 24 February 2015. Retrieved 24 February 2015. ^ Wahl, Grant (18 February 2015), "Insider notes: Qatar set for winter World Cup, MLS CBA update, more", Planet Football, retrieved 19 February 2015, Multiple sources say it's a done deal that World Cup 2022 will take place in November and December of 2022 in Qatar. A FIFA task force will...make that recommendation, and the FIFA Executive Committee is set to make the decision final...next month. ^ "Whether in June or November, Qatar's World Cup is about death and money". The Guardian. 24 February 2015. Retrieved 24 February 2015. ^ "Qatar World Cup decision 'a blatant mistake' – RTÉ Sport". Raidió Teilifís Éireann. 24 July 2013. Retrieved 17 February 2014. ^ Lutz, Tom (17 September 2013). "World Cup 2022: Australia wants Fifa compensation for failed bid". The Guardian. ^ Peck, Tom (24 February 2014). "Premier League chief Richard Scudamore threatens to sue over November/December proposal". The Independent. London. ^ "World Cup final 2022 one week before Christmas". Raidió Teilifís Éireann. 19 March 2015. Retrieved 19 March 2015. ^ "Fresh corruption claims over Qatar World Cup bid". The Sydney Morning Herald. 8 June 2014. ^ FIFA tight-lipped over whistleblower. Al Jazeera .11 July 2011. Retrieved 12 October 2012. ^ Watt, Holly (18 March 2014). "World Cup 2022 investigation: demands to strip Qatar of World Cup". The Telegraph. London. Retrieved 20 March 2014. ^ "Qatar 2022: Fifa sponsor demands 'appropriate investigation'". BBC Sport. 8 June 2014. ^ Blitz, Roger (8 June 2014). "Big sponsors pile pressure on Fifa over Qatar World Cup". Financial Times. Retrieved 9 June 2014. ^ "Plot to buy the World Cup". The Sunday Times. 1 June 2014. ^ Conway, Richard (5 June 2014). "BBC Sport – World Cup 2022: Qatari officials consider legal action". BBC. Retrieved 9 June 2014. ^ "2022 World Cup bribery accusations denied by Qatar organizers – World – CBC News". Canadian Broadcasting Corporation. 2 June 2014. Retrieved 9 June 2014. ^ "BBC Sport – Qatar 2022: Sepp Blatter says corruption claims are racist". BBC Sport. ^ Gibson, Owen. "Sepp Blatter launches broadside against the 'racist' British media". The Guardian. Retrieved 29 May 2015. ^ "FIFA Officials Arrested Over Alleged 'Rampant, Systematic' $150M Bribery Scheme". ABC News. Retrieved 29 May 2015. ^ Withnall, Adam (7 June 2014). "Fifa corruption whistleblower says Qatar will be stripped of 2022 World Cup". The Independent. London. ^ "'Russia & Qatar may lose World Cups' – Fifa official". BBC News. 7 June 2015. ^ Gibson, Owen (7 June 2015). "Russia and Qatar may lose World Cups if evidence of bribery is found". The Guardian. ^ "FIFA and adidas extend partnership until 2030". FIFA. 21 November 2013. Archived from the original on 28 June 2017. Retrieved 10 May 2017. ^ Matthews, Sam (22 November 2005). "Coca-Cola renews Fifa football sponsorship until 2022". Campaign. Archived from the original on 27 August 2017. Retrieved 10 May 2017. ^ "Hyundai-Kia drives on as FIFA Partner until 2022". FIFA. 24 November 2010. Archived from the original on 18 June 2017. Retrieved 10 May 2017. ^ "Qatar Airways announced as Official Partner and Official Airline of FIFA until 2022". FIFA. 7 May 2017. Archived from the original on 11 May 2017. Retrieved 10 May 2017. ^ Mickle, Tripp (1 April 2013). "Visa extending World Cup deal for eight years". Sports Business Daily. Archived from the original on 27 August 2017. Retrieved 10 May 2017. ^ Wilson, Bill (18 March 2016). "Fifa signs China's Wanda as partner". BBC News. Retrieved 6 December 2018. ^ "FIFA and Anheuser-Busch InBev announce FIFA World Cup sponsorship for 2018 / 2022". FIFA. 25 October 2011. Archived from the original on 27 August 2017. Retrieved 10 May 2017. ^ Carp, Sam (31 May 2017). "Fifa agrees massive World Cup deal with Vivo". SportsPro. Archived from the original on 2 June 2017. Retrieved 31 May 2017. ^ a b c d e f g h i j k l m n o p q r s t u v w x y z aa ab ac ad ae af ag ah ai "EBU in European media rights deal with FIFA for 2018 and 2022 FIFA World Cups™" (Press release). European Broadcasting Union. 30 March 2012. Archived from the original on 2 July 2012. Retrieved 31 March 2012. ^ Hassett, Sebastian (28 October 2011). "SBS locks in two more World Cups". Brisbane Times. Retrieved 28 October 2011. ^ "Globo buys broadcast rights to 2018 and 2022 FIFA World Cups™". FIFA. 28 February 2012. Retrieved 28 February 2012. ^ "Bell Media lands deal for FIFA soccer from 2015 through 2022". TSN. 27 October 2011. Archived from the original on 12 December 2013. Retrieved 27 October 2011. ^ Myers, Sanjay (28 October 2011). "SportsMax lands long-term FIFA package". Jamaica BServer. Archived from the original on 29 October 2011. Retrieved 28 October 2011. ^ "FIFA grants media rights in China PR to CCTV until 2022". FIFA. 1 November 2017. Retrieved 23 November 2017. ^ a b FIFA.com (14 January 2016). "FIFA grants media rights in France to TF1 and beIN SPORTS for major tournaments". FIFA. Retrieved 22 August 2018. ^ "BBC, ITV, ARD and ZDF sign World Cup TV deals". sportspromedia.com. Retrieved 29 May 2015. ^ FIFA.com (26 January 2011). "Al Jazeera Sport buys broadcast rights to 2018 and 2022 FIFA World Cups™". FIFA. Retrieved 22 August 2018. ^ "Sky Sports signs eight-year deal with FIFA". The New Zealand Herald. Retrieved 7 July 2016. ^ Barros, Carlos. "RTP e Seleção Nacional até 2018". RTP.pt. Rádio e Televisão de Portugal. Retrieved 24 February 2015. ^ "." teraz.sk. Retrieved 27 January 2018. "RTVS získala vysielacie práva na zápasy EURO 2020 a MS 2022." ^ Ekeliw, Jonathan. "SVT och TV4 delar på fotbolls-VM till 2022". Aftonbladet (in Swedish). Retrieved 30 March 2012. ^ "BBC and ITV win rights to 2018 and 2022 Fifa World Cup finals". BBC Sport. 7 June 2014. Retrieved 15 July 2018. ^ FIFA.com (21 October 2011). "FIFA awards US TV Rights for 2015–2022". ^ Longman, Jeré (21 October 2011). "Fox and Telemundo Win U.S. Rights to World Cups". The New York Times. Retrieved 22 October 2011.